Roaring engines, tightened muscles, hands gripped around the steering wheel, pushing the limit to get to the top. After hours of racing, light is fading, the energy is starting to lack but you stay focused, you fight the exhaustion. It’s all about skill, courage and persistence. The 24 Hours of is the world’s oldest active endurance car racing event and takes place in France, on Le Circuit de la Sarthe. Everything started 89 years ago, in 1923. Every year there would be a 24-hour race and every three years a winner would be chosen in function of the results of the past three years. This idea later got abandoned and the race evolved in a few different ways, but the goal was to change the race as little as possible, to keep its originality, which gave this historical race its beautiful reputation. Technically, this race is probably one of the hardest races nowadays, because of its extremely long racing time and its quick change in from racing track to public roads. The public roads are not as smooth and well kept as the racing tracks because of the traffic all year round, which can give the drivers a hard time. Teams must consist of three members who usually do two-hour shifts, having the time to rest between the shifts. The 24 Hours of Le Mans can in some way be compared to the Olympic games; the race is timeless and is about passion, winning this race is about honor and pride, and not just about money and fame and that is what we like at Alpina Geneve. Racing Sports watches, true to the heritage of Alpina, but benefiting from cutting edge precision engineering in their conception, production and testing to ensure that each that leaves our manufacture is perfect in every way. It is not by chance that Alpina proudly partnered with Level 5 Motorsports, who races in the legendary 24 Hours of Le Mans. Last year, Level 5 Motorsports managed to get the third place and that success gave the team even more ambition to winning the 24 hours of Le Mans. Level 5 Motorsports’ team for the 24 hours of Le Mans 2012 consists of Scott Tucker, Luis Diaz and Christophe Bouchut, three men with very different background, age and nationality. However, there is one thing that holds those three racers together: the love and the passion for cars and for racing, their infatigability and their ambition to become a winner. With five major victories in the past two years, team Level 5 Motorsports is doing extremely well. Scott Tucker at their head; nothing seems to stop them. But how did this all begin? This year, Level 5 Motorsports upgraded to a new car, the HPD ARX-03b, a racing car developed by Honda Performance Development. The car was developed and built in 2012 and is a more modern version of its predecessor, the Acura ARX-01. It had an outstanding debut, grasping 6 victories out of the first 7 races it participated in. The car has a height of 1030 mm and a width of 2000 mm. With a carbon fibre monocoque and a Honda HR28TT 2.8 Litre V6 Turbocharged engine, it has the perfect balance of strength, weight and power. 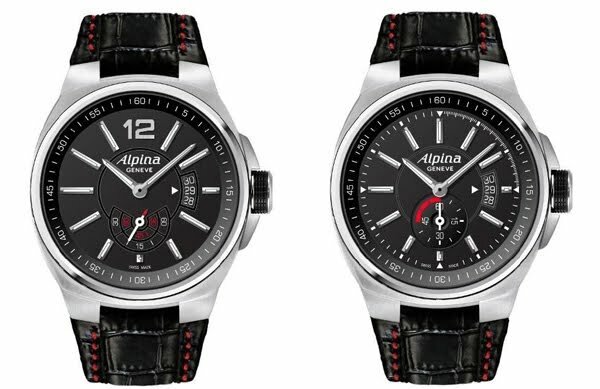 Alpina Geneve created a watch especially for the partnership with Level 5 Motorsports, the Alpina Racing Automatic. 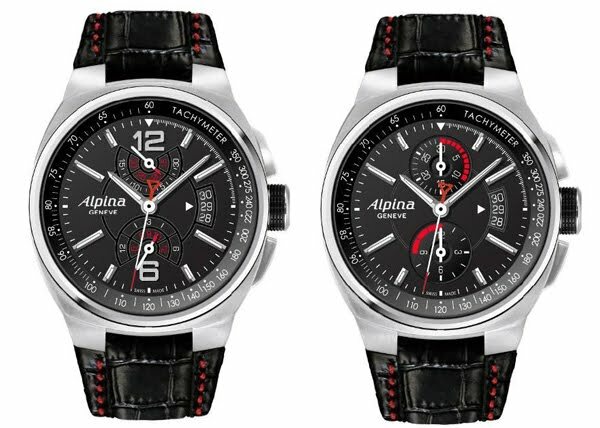 Featuring a 47 mm stainless steel case with black dial, black leather strap with red contrasting stitching, full 12-hour chronograph function, sapphire crystal with anti-reflective coating and an automatic movement with transparent case back to view the movement, it is the perfect combination of beauty, resistance and precision. Hours, minutes, seconds, chronograph and date.